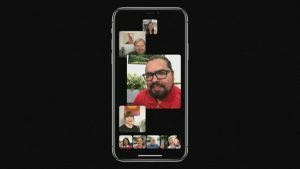 CUPERTINO, Calif. (NBC) – Apple has just released a patch for the group Facetime bug that allowed users to eavesdrop on conversations, even before the recipient answered a call. The company temporarily de-activated the group Facetime feature in order to work on a permanent fix. And now that software update is finally here. Users can now install the patch, iOS 12.1.4, and return to a secure group Facetime. However, for users still running earlier versions, group Facetime will remain deactivated. The rollout is just beginning, so, don’t panic if you don’t see it right away on your iPhone. To update your iPhone, just open settings, tap general, choose the software update, and then select download and install. Apple has issued an apology to customers who were affected by the issue.